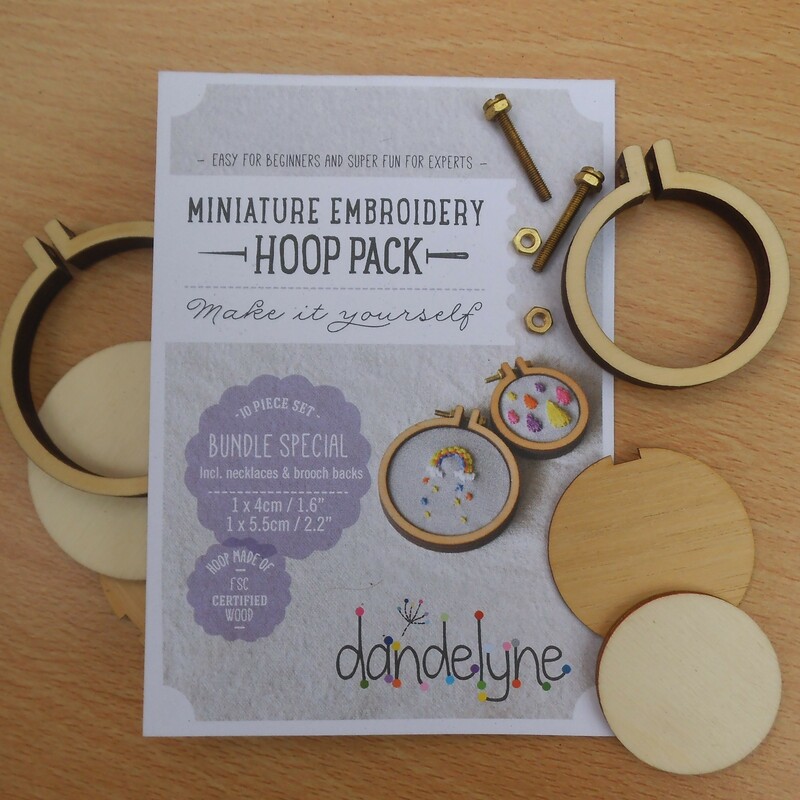 Dandelion sent me some cute and quirky mini hoops to try out so I just had to yarn bomb them. 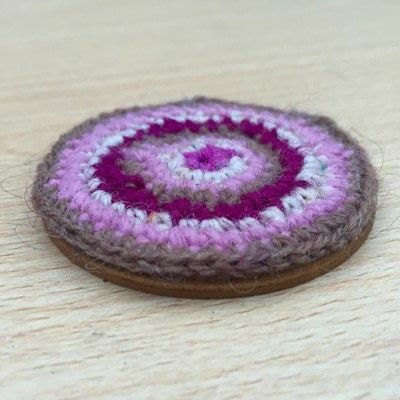 These are super easy if you know how to crochet a circle, I used really think wool, nearly thread width, but you could also made them more rustic with DK thickness yarn. 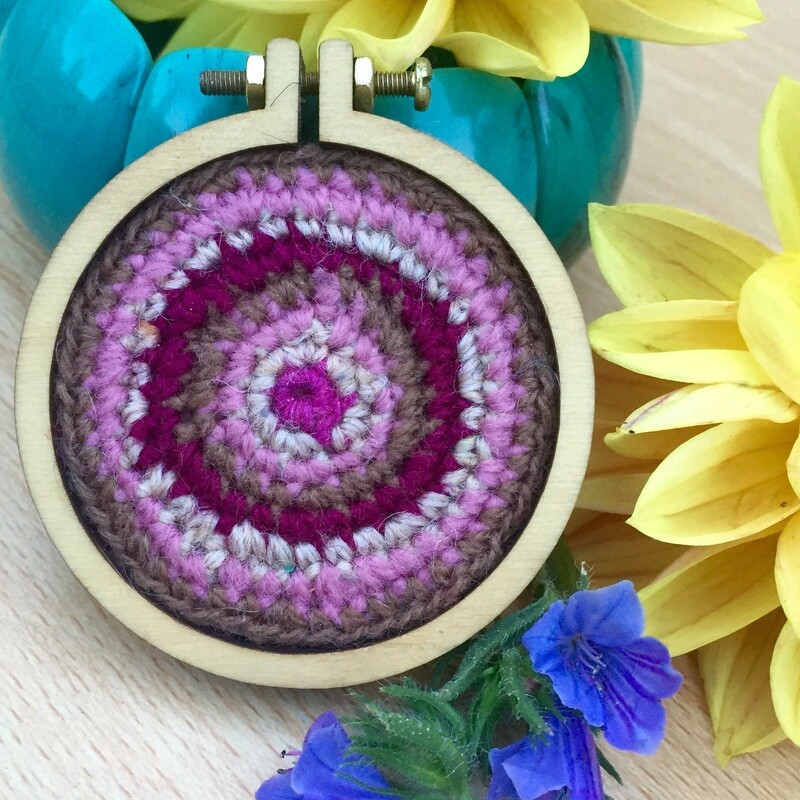 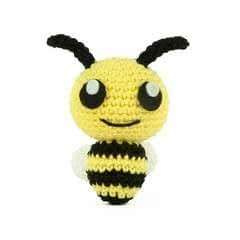 Crochet your circle from the pattern below, swapping colours every row and crocheting/weaving in ends as you go. 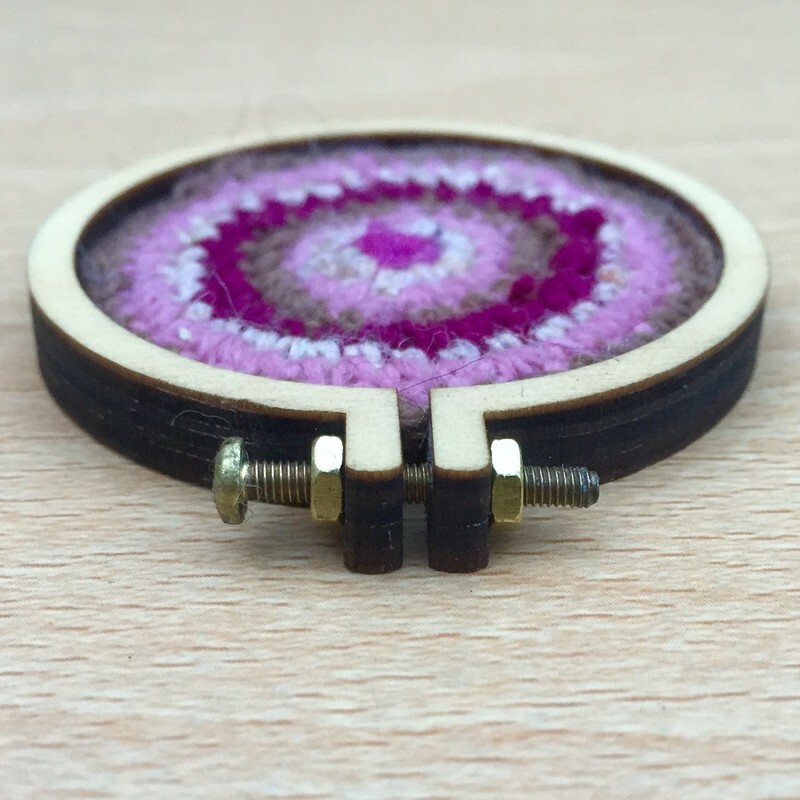 When your circle fits snugly into the outer embroidery hoop tie off the end. To start make a magic circle or ch 2. 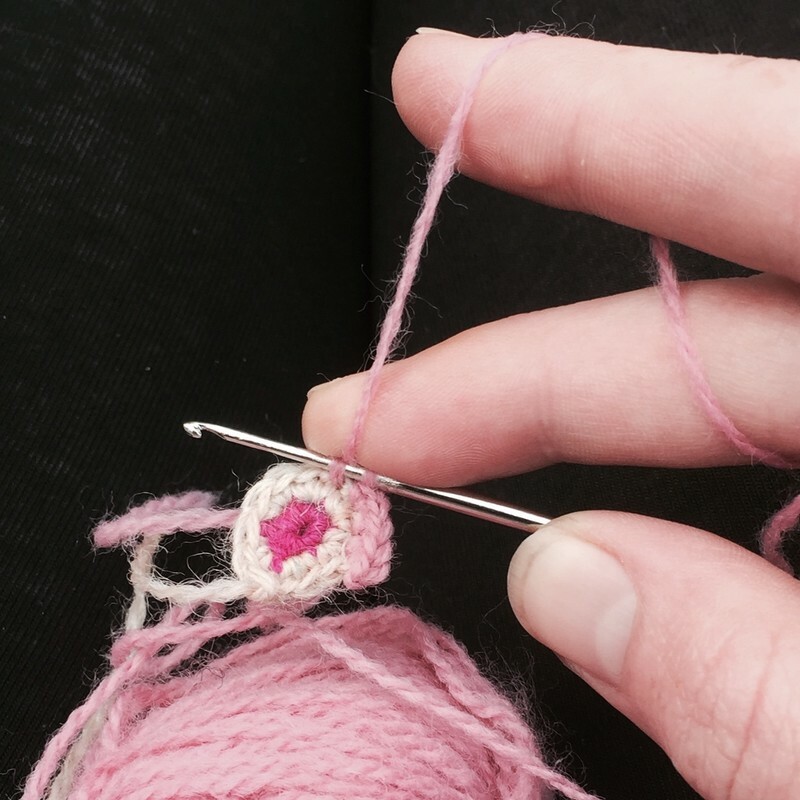 The next few steps are very simple and take minutes. 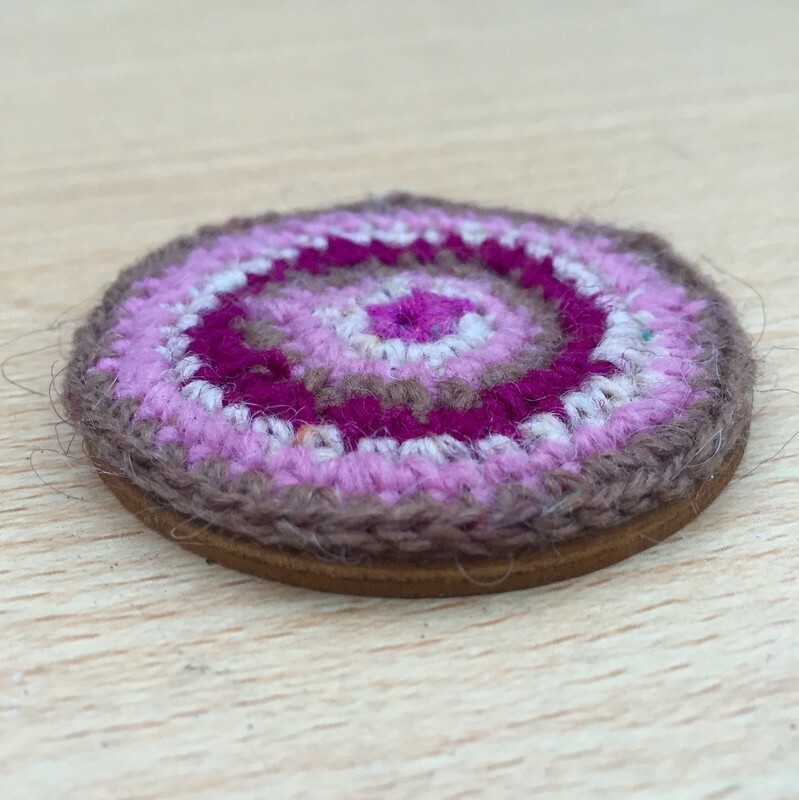 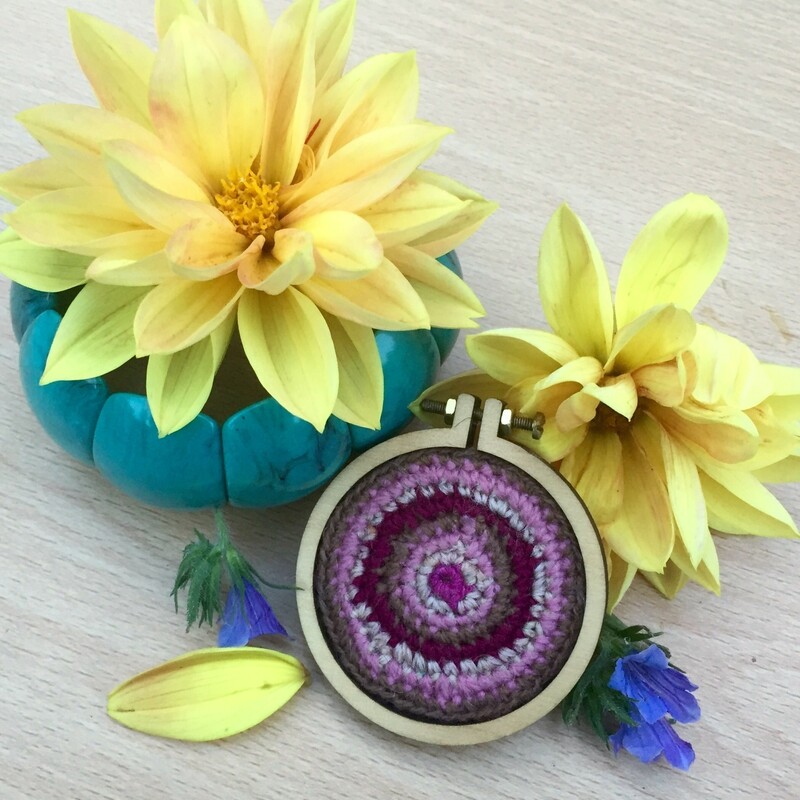 Superglue your crocheted circle to the smallest flat wooden circle. 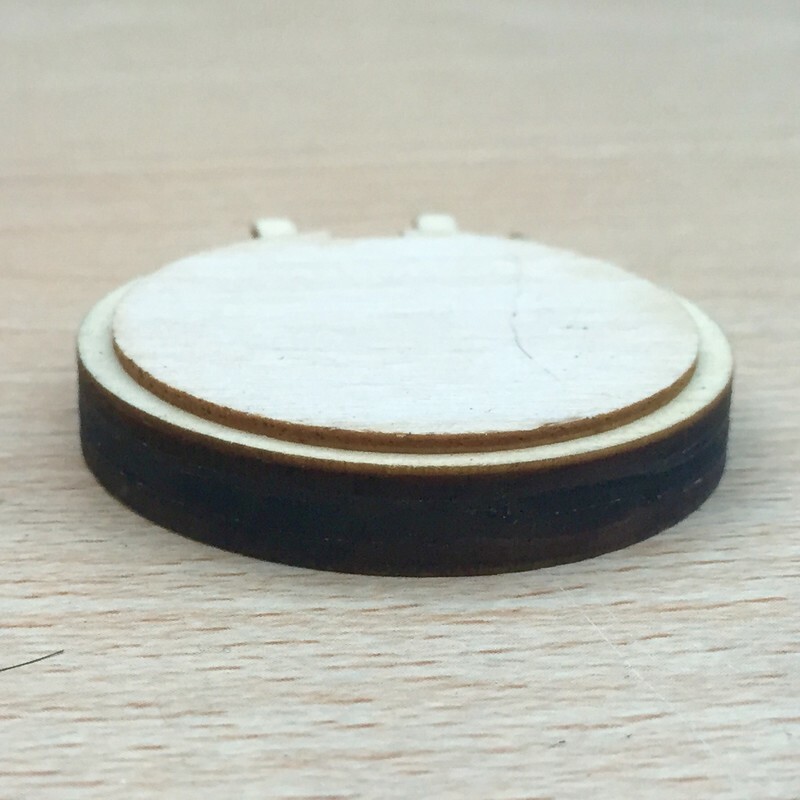 I dotted the glue round the edge a bit at a time and used a pin head to press it down so it fit perfectly. Next fit the crochet and wood circle inside the outer embroidery hoop, loosen the first nut so the screw sits evenly on each side, then screw on the second nut and tighten. Now turn your piece over and glue the final, larger flat wooden circle to the back, being careful to line it up in the centre. The final and most important step, once all the glue has dried give it to the closest cat for rigorous kitten testing. 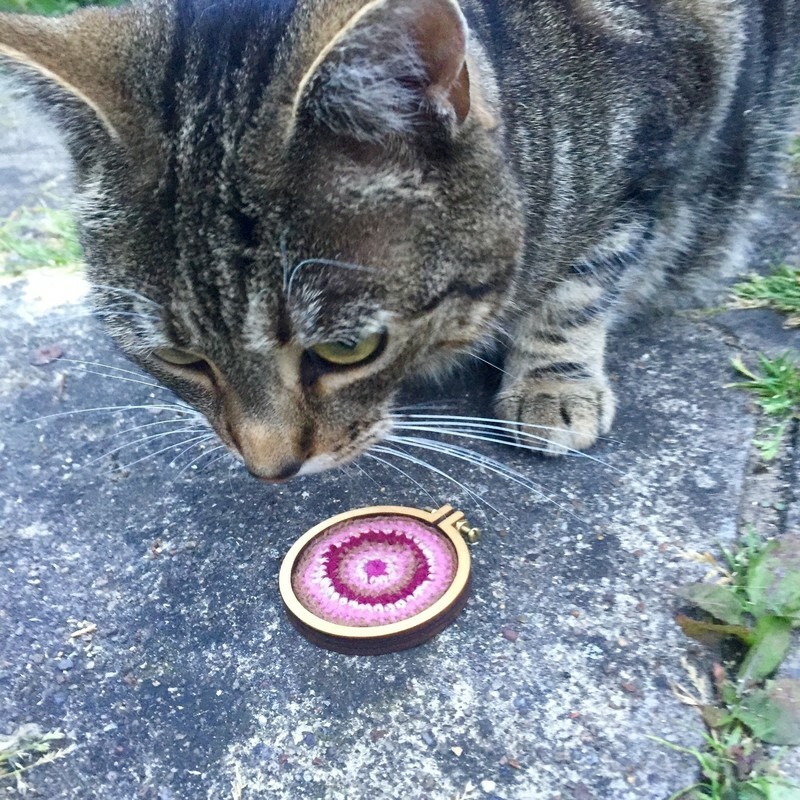 If the cat approves of your design hang it on the wall, prop it on a tiny shelf/curio cabinet, or if you'd like to wear it just superglue a badge back or hair grip to the middle of the back.